Crestwood Suites - Houston Galleria - will make your stay more comfortable without stressing your wallet, giving you options that conventional hotels just do not offer: full-size, fully-equipped kitchens with refrigerator, stovetop and microwave in every suite. At UpTown Suites - Houston Galleria you can conduct business as usual with, private voice mail, and computer wi-fi. There is even a copy and faxing service at the front desk. You will enjoy premium cable TV while relaxing on your reclining love seat on newly upgraded flat-panel televisions. 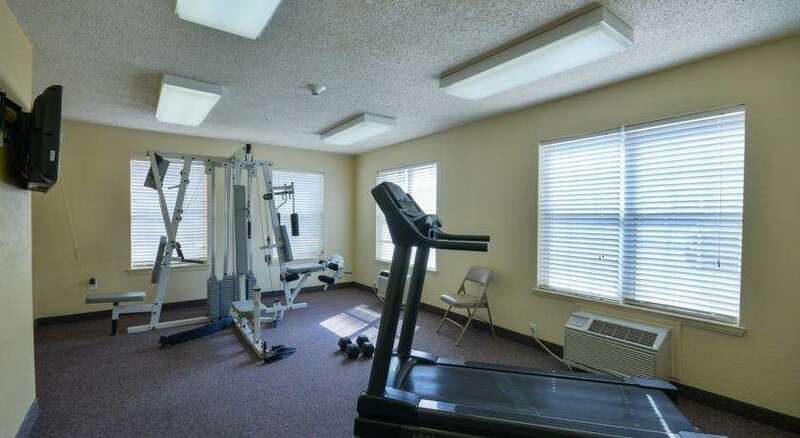 There is also a 24 hour on-site laundry facility and vending area for your convenience. At UpTown Suites - Houston Galleria you will have a comfortable, safe place to call home, with interior corridors, locked exterior doors -access by room key card only, and plenty of exterior lighting. Please note: Nightly deposit of 25 USD total for cash-paying guests / Weekly deposit of 100 USD total for weekly or monthly cash-paying guests.